AirTrunk has completed a new round of debt financing to the sum of $450 million in an effort to further expand its Asia Pacific (APAC) operations, with the development of a 60+ megawatt (MW) hyper-scale data centre in Singapore. The debt financing was undertaken by Deutsche Bank, Goldman Sachs and Natixis, with additional equity capital from its founder and CEO, Robin Khuda, and shareholders, Goldman Sachs and TPG Sixth Street Partners (TSSP). AirTrunk was advised by Grant Samuel, Norton Rose Fulbright and Rajah & Tann. 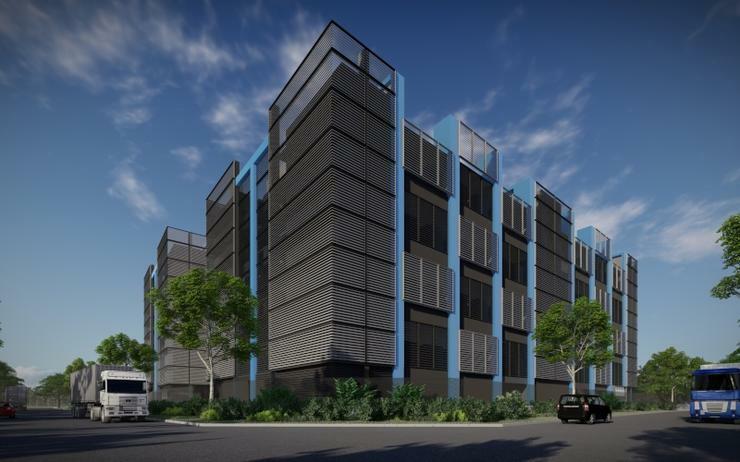 “We are immensely proud to be the first Australian operator to build a hyper-scale data centre in Singapore,” said Robin Khuda, founder and CEO of AirTrunk. “Throughout the financing process, we received strong interest from global financial institutions in recognition of AirTrunk’s proven hyper-scale model backed by long-term customer commitments. “This additional S$450 million financing provides us with a strong balance sheet to pursue further growth and become the preeminent hyper-scale data centre operator in the region." The Australia-based data centre specialist has not been shy about its desire to grow and expand across the region. Found in 2014, the firm operates data centres in Sydney and Melbourne, with Singapore being its first major step outside of its native Australia - in line with its APAC growth strategy. Upon completion, the new centre is set to be the largest neutral data centre in Singapore, with more than 60 megawatts (MW) of IT load, and is specifically designed for hyper-scale cloud, content and enterprise customers. The site, located in Loyang, is strategically positioned near the Changi North Cable Landing Station, a key sub-sea internet landing station for international interconnection. The carrier-neutral facility will be serviced by multiple fibre paths and a dedicated high-voltage substation will provide highly reliable and cost-effective power solutions for customers. “The rapid growth of cloud and evolving needs of enterprises are driving demand for hyper-scale capacity in the region,” said Michael Juniper, chief commercial officer and executive director, AirTrunk, who is based in Singapore, overseeing new regional projects. “Singapore is a strategic data centre hub due to its economic and political stability and rich connectivity to Asia, the USA, and Europe." The ongoing investment in Singapore as a regional data centre hub will greatly benefit the local economy and create hundreds of jobs during construction and ongoing operations. “AirTrunk’s inaugural Singapore data centre is set to be operational in mid-2020 and will showcase our unmatched deployment speed, scalability, reliability and cost efficiency,” said Juniper. “We are committed to developing a sustainable digital ecosystem, delivering an industry-low power usage effectiveness (PUE) and BCA Green Mark Platinum certification,” he added. Furthermore, like its other facilities, AirTrunk’s Singapore data centre is designed to meet the stringent security requirements of its customers including TVRA, ISO27001, PCI-DSS and ISAE 3402 Type 2.